27+ Years of Success... Customer Service is Still #1! 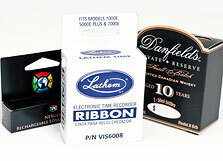 PrintPac has served product packaging needs since 1985. The company owes it's growth and longevity in the industry to making the customer's job effortless in every respect. This determination and commitment to meet and exceed customers' expectations has given way to year over year growth. The work ethic of our dedicated employees is evidenced by the company's success. Currently celebrating over 27 years of service, PrintPac holds a significant track record of success in the printing and packaging industry. Clients value this level of experience that only years in the business can bring. PrintPac's unwavering commitment to impeccable customer service continues today and into the future. PrintPac is committed to being the printing and packaging supplier of choice by providing superior customer service and the highest levels of quality, value and honesty! We believe that integrity, reliability and personal dedication are the keys to a successful and prospering business relationship. Choose PrintPac to establish a viable position in the marketplace. Contact us, today! From folding cartons and chipboard, corrugated boxes and litho labels, partition pads, POP displays, set-up boxes, foam packaging, blisters and clamshells, catalogs and brochures, labels, stickers and tags, inserts, shrink bands, poly bags, and, more... PrintPac takes care of all of your packaging needs. PrintPac serves product packaging, packaging design, and printing needs nationally and locally in Southern California, Los Angeles County, San Diego County, Orange County, Irvine, Santa Fe Springs, Long Beach, Torrance, Foothill Ranch, City of Industry, Anaheim, and others. © 2011 PrintPac Printing & Packaging, Inc. All rights reserved This printing and packaging company is located in Southern California. Print-Pac� serves product packaging and packaging design needs nationally and in Southern California, Los Angeles San Diego Irvine Santa Fe Springs Long Beach Torrance Foothill Ranch City of Industry Anaheim. Best of Class Custom Product Packaging, Corrugated Cartons, Folding Boxes Cartons, POP Displays, Blisters Clamshells, Set-up Boxes, Product Packaging Labels Stickers Shrink Bands Banding Counter Floor Displays, Catalogs, Foam Partitions Pads, Printed Inserts. Printing and Packaging services nationally and to the following southern California areas: Los Angeles Custom Product Packaging, San Diego Custom Product Packaging, Irvine Custom Product Packaging, Santa Fe Springs Custom Product Packaging, Long Beach Custom Product Packaging, Foothill Ranch Custom Product Packaging, Torrance Custom Product Packaging, City of Industry Custom Product Packaging, Anaheim Custom Product Packaging, and nationwide.